27 world series titles baby! 4 Super bowl wins twice against the Pats! Seriously though, the 1986 Giants had to have the best coaching staff of all time. Parcels, Bellichek and Coughlin were on on that staff. A ratter is defined by one's heart and soul as well as life experiences. Be it heating bills, sledding, nape tanning, model failure, its all relative as well as subjective. In the end, when one is on their death bed surrounded by family, the many ratters one experienced will fade from consciousness and vanish. As with a lot in life, snowfall etc. mean nothing when all is said and done. All that matters is family and friends and the good times we had with the aforementioned. GO YANKEES AND GIANTS! For me ratter is F, or less and 33.33% of seasonal snowfall average. Although I do not agree on ratter (D+ winter for me), I completely agree about 11/12, if its not going to be at least a C winter (avg snowfall), let's make it comfortable to go outside. Plua this winter was definitely the biggest tease I ever witnessed. I love the FV3. Its like a fantasy storm entertainment model. Like roller coaster tycoon for snowstorms. On queue FV3 lost it too far east. Now thats a spicy PNA. March saving the day 1980s style! That and the whole early snowstorm and warm wet cold dry pattern. I give the winter a D+ for nostalgia. It felt like a crappy winter, but in reality we were only slightly below average for snowfall (26.66% below average range of 30 to 35). 2001/2, 06/07, 07/08 and 11/12 had far less snowfal. Between Norwalk and Easton this century, now only FIVE below average winters in 19 seasons! Whats amazing is we are approx. Only 8 inches from normal with all that happened. Imagine we had a fluke storm that got us to average. Pretty amazing considering. Also there is another shot of snow during the PNA spike if a system aligns right. Dont know if anyone has the stats, but I think the total central park snowfall was higher in the 80s than the 90s. 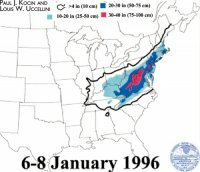 If the 90s was higher it would only be due to the epic 95 96 winter.